Riddell is hoping for leniency at his sentencing as part of his plea deal. He has also agreed to forfeit $239,449. Prosecutors claim that Riddell was central to the cheating scheme. Riddell is an alumnus of a private Florida prep school and Harvard, where he studied biology and played tennis before graduating in 2004. As a result of the scandal he was suspended indefinitely from his job as director of a college entrance exam preparation at his alma mater prep school. Scheme ringleader Singer had previously said of Riddell that he could "nail a [test] score" of any kind. In one case when he was told not to score too high, he scored 1670 out of 2400 on the SATs for one student. He was being paid approximately $10,000 per test that he took. Riddell isn't the only one who may face prison time. 16 parents were also recently indicted in the scandal last week. Two weeks ago, we noted that parents charged in the scheme were seeking out "prison life consultants" to find out what life would be like in the big house. We have been following the admissions scandal at length. As part of our coverage, we detailed how financial speaking gigs and elite high schools helped facilitate the scam for years. We've also covered the fallout from the scandal, like when UCLA's Men's Soccer Coach and former U.S. Men's national team player Jorge Salcedo recently resigned from his position at the university as a result of taking bribes. We also wrote about how students were being encouraged to fake learning disabilities in order to cheat on college entrance exams. We profiled Riddell for the first time in March. 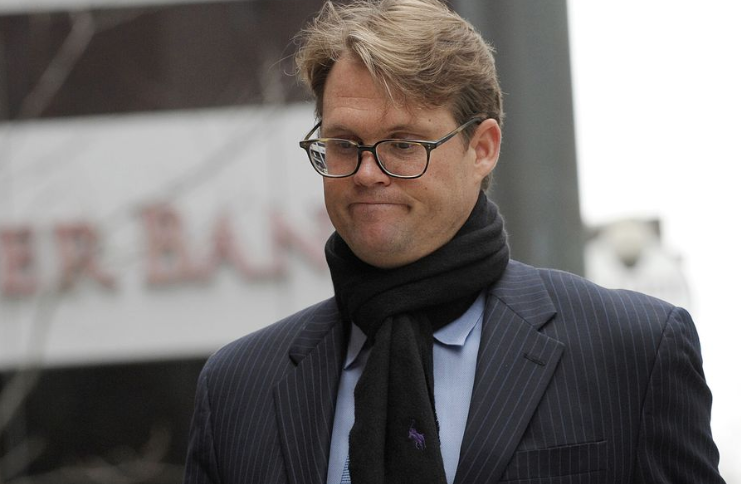 Prior to that, we also reported on the tipster who gave the SEC the lead on the admissions scandal.